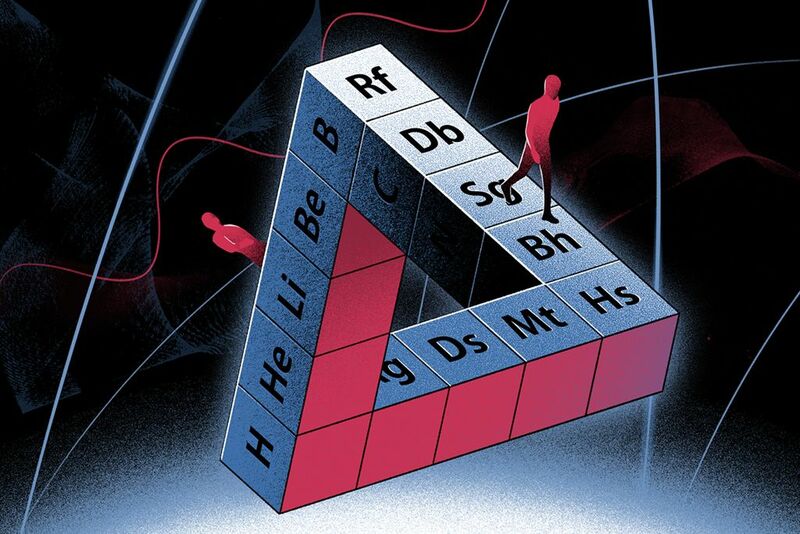 "Can quantum ideas explain chemistry's greatest icon? Simplistic assumptions about the periodic table lead us astray. "Such has been the scientific and cultural impact of Dmitri Mendeleev's periodic table of the elements that many people assume it is essentially complete. [But] in its 150th year, can researchers simply raise a toast to the table's many dividends, and occasionally incorporate another heavy synthetic element? "No – this invaluable compilation is still not settled. The placements of certain elements, even hydrogen and helium, are debated."